"Thanksgiving!" 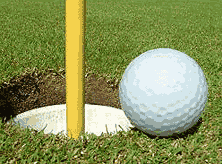 My son cried out when I putted less than perfect, but close enough to the hole for him to have allowed a gimme. The Scottish instructor didn't understand. "Isn't that an American holiday?" He asked with his distinctive accent. Eid al Adha and Thanksgiving are only a week apart this year. Eid fluctuates as the Islamic year rotates around the Gregorian calendar and the seasons. I have celebrated both holidays, with more festivity according to the continent I was on. What I love about these holidays, and by Eid I refer to both the Ramadan Eid and the Eid of Hajj, is that in those instances (and to a certain extent Christmas, but that gets affected by Christmas shopping) the whole city sleeps, slows down and makes us all feel on holiday. How can a huge consumer society like the United States come to a sudden halt on Thanksgiving? A country that is open 24 hours seven days a week just closes shop on Thanksgiving. Even supermarkets close early for those holidays. By principle, this historical celebration, turned traditional, is a time when Americans criss cross around the country to make sure they all reunite with their families. The airports and other airline industries fill to the intolerable brim and comical movies have been written about the family reunions that take place. In the Middle East, and in Dubai in particular, where I reside, the sudden halt also occurs on Eids. It is the only time when Dubai which is also built on a 24h seven times a week sort of pace declares public holiday and sleeps in. Only the shops remain open. In fact the traffic to the mall on Eid nights is notoriously insane. For me, I have no school drives, barely any scheduled activities and my family spends more time at home and on the golf course. Eid becomes a time for gift giving, family meals and a dash more of sleep. 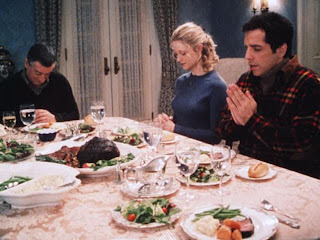 As a child, we used to travel to Lebanon, bond with family in scenes reminiscent of American comedies on Thanksgiving. I do remember the solemn moments also, namely when my uncles and aunts came back from Hajj, draped in white and greeted with much pride. For Eid, it wasn't the traditional cash handouts children got from relatives or the new clothes parents dressed us in but the fireworks which were my favorite memories of Eid. 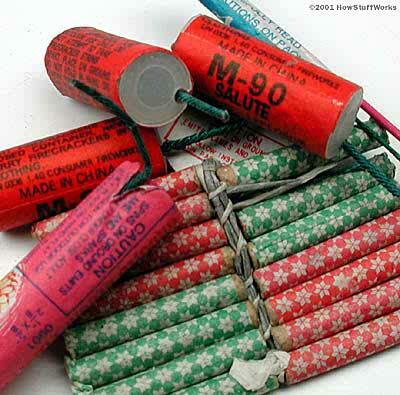 As soon as it grew dark, with parental help and supervision, all the cousins used to light up bangers and other small firecrackers in front of our grandmother's house, like American kids do on the Fourth of July. 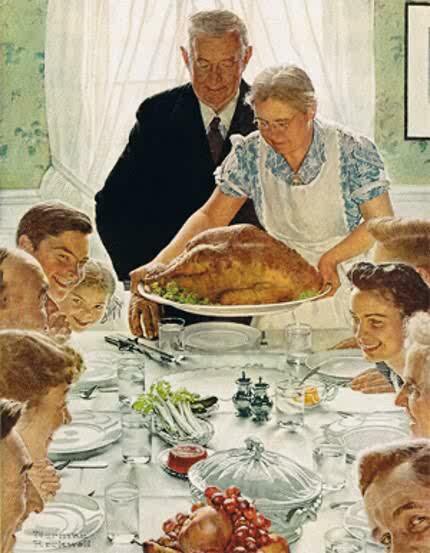 Norman Rockwell has painted Thanksgiving dinners. I have participated in many similar ones, one extra large maternal family, all united at my grandparents home in Salt Lake City, around an extra large dinner table, with turkey, stuffing, cranberry and all the trimmings. My favorite part of the meal were the pies. I had now grown accustomed to the pecan and especially pumpkin pies that I wished I could eat all year long and not just seasonally. The dinner always ended with the dishwasher being loaded and the pots and pans washed and dried in an assembly line of female relatives. This Eid was splendid as Dubai became a slow paced city, with little traffic and had a calming vibe. I thought of Thanksgiving in the USA when Americans count their blessings for the short respite from the stress of work and consumerism. I thought of my family in New York which will travel to Washington DC, and the San Diego maternal gang gathering around a turkey, and the Afghan tribe also reuniting in the Bay area. Just as we get our school bags ready for a month of school before Christmas and its boisterous holiday, no matter where on the globe you are. Thanksgiving and Eid is about celebrating quality time with family and close friends. It's about taking a pause, reflecting, and giving thanks. It's about disconnecting and unplugging. Happy Thanksgiving everyone! In my days,children got new clothes only the night of the Eid,or before the beginning of school.Now mothers shop until they drop to dress their kids with the latest,for no special occasion.I remember our neighbour preparing the special Eid cookies few days before,with the aroma of "mamoul" still in my memory.The lady used to keep the delicious home made cookies up on high shelves,so that we dont get it ahead of time. My father used to wake us early before fajr,to get ready to attend "Salat al Eid" in the Omari mosque in downtown Beirut,a millineum old mosque named after the Caliph Omar.People then knew each other,and found it an opportunity to exchange greetings.The next stop would be at 'Samadi",the famous Arab sweets shop where hot "knafeh bil jibin" with crisp 'ka'ak",and sweet syrup would be eaten fresh from the ovens.The most important stop was at my paternal grandmother's house,where my numerous uncles and aunts,cousins and close relatives,would congregate to exchange Eid greetings,and most importantly for the kids to get the newly minted monetary "Eidyeya"long awaited by the children.The old house would be bursting to the seems with visitors and well wishers! The tables would be filled with special Eid dishes,such as stuffed lambs,and other Lebanese dishes,and last but not least the delicious "baklava" sweet.The finale would be in the evening when firecrackers would be bought from the nearby store,where our money would be used to celebrate the happy occasion.